No sleeves day dress from 1940’s. 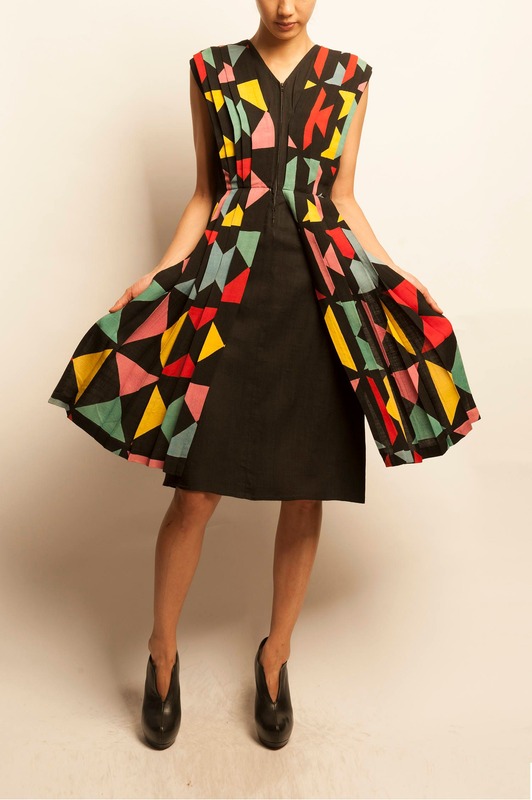 Pleated with multicolor geometric motif on the middle(only front), closure with a zip on the middle. Size XXS.